Join Trotec Laser at the ISA International Sign Expo and take your sign business to the next level! With more than 550 exhibitors, 18,000 industry members, and several education classes all under one roof, you are certain to find ideas and products that will make an immediate impact on your business. 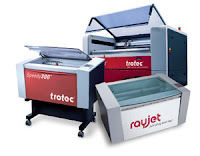 Trotec Laser has a unique portfolio with items like the Speedy 400, Speedy 500, i-Cut Vision System, CeramiCORE and many more laser systems and accessories that are designed to help companies in the Sign and Digital Graphic industries grow their business, offer new products, and increase profit margins. Speedy 400 - Our newest system features a roomy working area, JobControl X, and CeramiCORE Technology. Speedy 300 Flexx - Gives users a unique advantage by combining both a CO2 and Fiber laser in one system. Rayjet 300 - The newest addition to our Rayjet line, an excellent high laser power system at an affordable price. 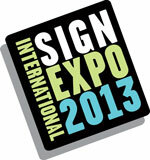 Register for Free: Registration for the ISA Sign Expo is on us! Use promotion code 30763 when registering and you'll attend ISA for Free! Exclusive Deals: Stop by our booth 3301 to see our lasers in action, meet the Trotec team, and take advantage of exclusive show deals! Mention this post to get a free cutting table with the purchase of a Speedy 300. *Purchase requires a deposit made at the ISA International Sign Expo 2013 to qualify.